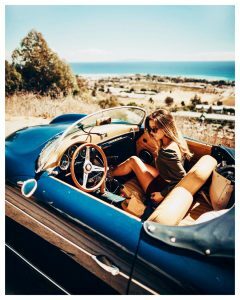 I am sure all convertibles owners know how frustrating it is to walk out the door to go for a spin in your convertible car, only to find out that the hood is covered in bird droppings! You then attempt to wipe the mess off, however, the droppings have dried, or they are fresh and you end up smearing them across the whole top! 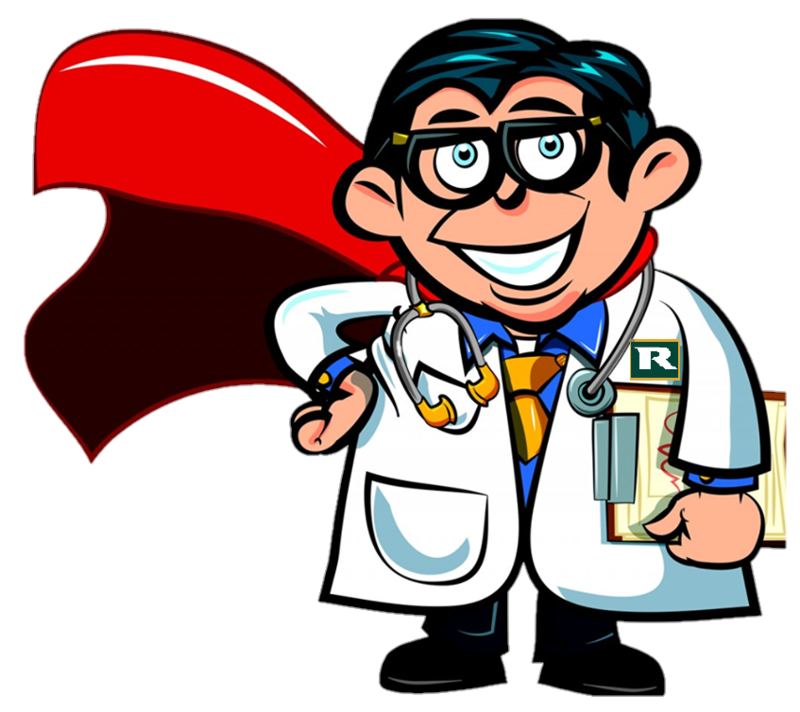 So, let me explain to you how best to remove the marks, without making things worse! 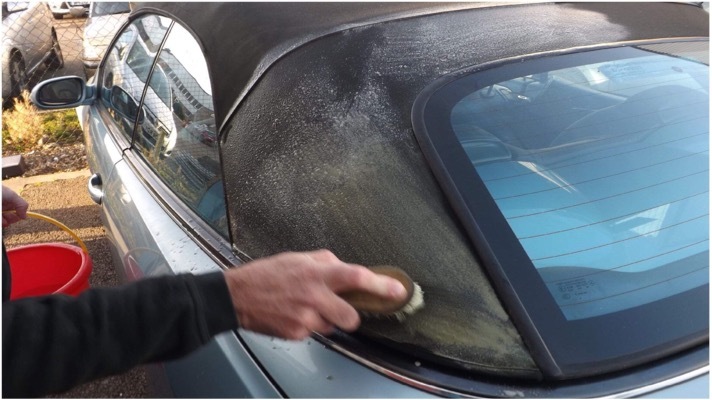 If the droppings are relatively fresh, the best thing to do is to quickly wipe off as much as possible with a damp lint free cloth, being careful not to spread it across the soft top during the process. 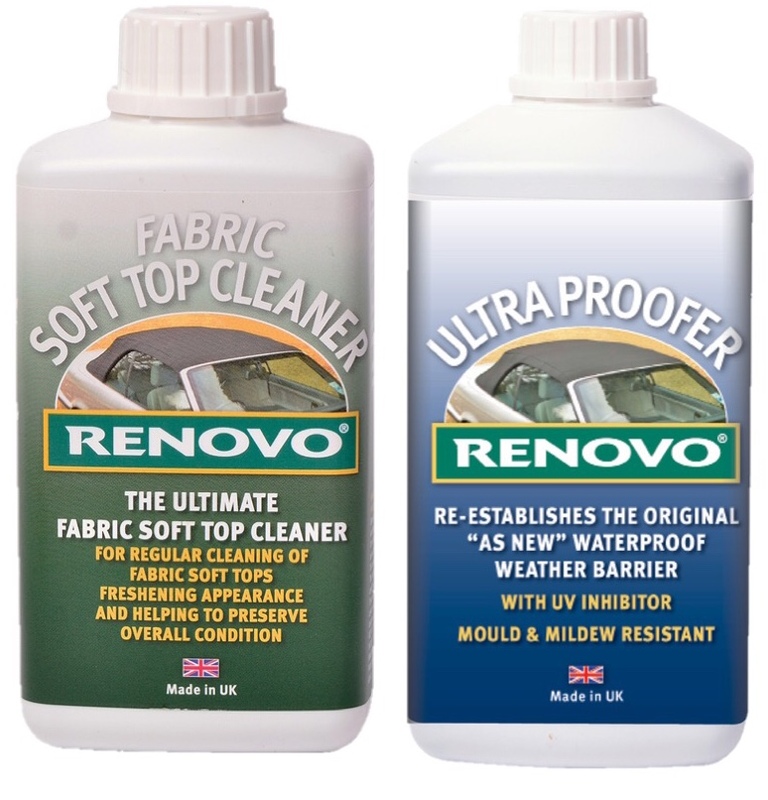 After that, spot clean the area with the Renovo Fabric Soft Top Cleaner. 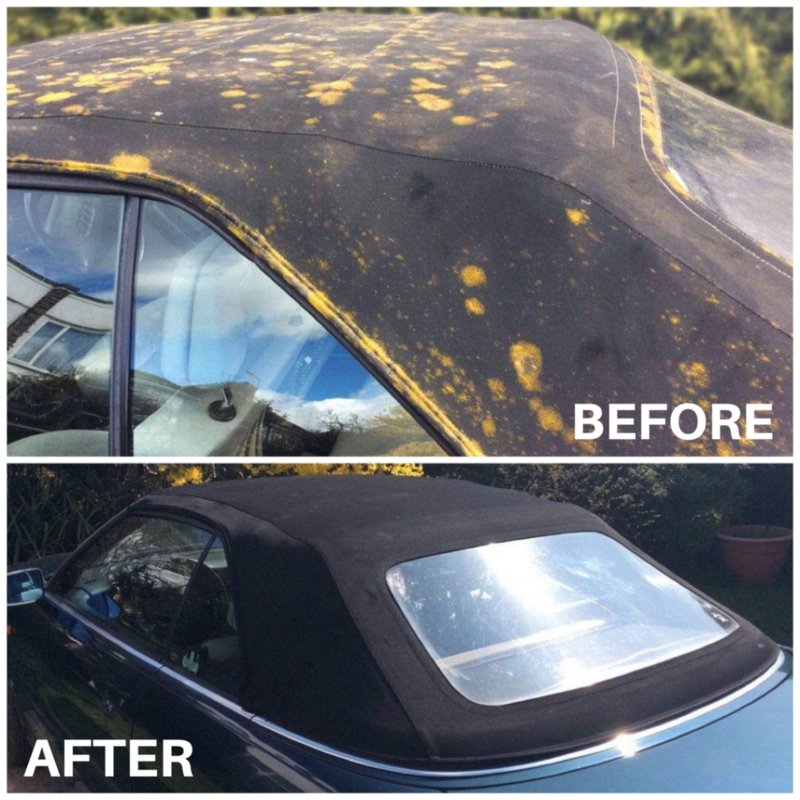 If the droppings have been left for sometime, then I recommend that you leave the Fabric Soft Top Cleaner on the soft top for about 60 minutes, then scrub the affected area with a bristle brush and hand hot water. A nail brush is ideal for this purpose! Then rinse off the area and let it dry, repeat the cleaning process until all of the droppings have been removed. You may also find that if the droppings have been allowed to dry on the fabric, you can remove them using an ice cube. Put the ice cube on the area allow it to melt into the dried droppings a little, this will freeze the dropping and allow easier removal, then simply rinse off the area with clean water.Now would be a good time to clean the whole soft top too, so why not clean the entire top with the Fabric Soft Top Cleaner! Protect and waterproof the area and the whole soft top with Ultra Proofer, this protective coating will enable easier removal of future bird related annoyances; as it prevents the penetration of the droppings deep into the fibres of the fabric – the perfect product to protect your soft top from those feathered fiends!